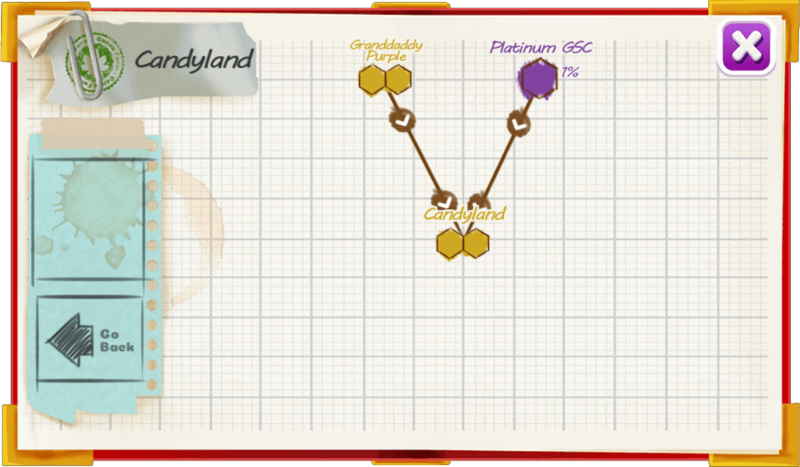 Candyland, is a sativa-dominant hybrid that won a gold medalist at the 2012 KushCon. Candyland buds showcase golden hairs oozing with juicy trichomes .Candyland is great for pain, inflammation, and grumpy moods. 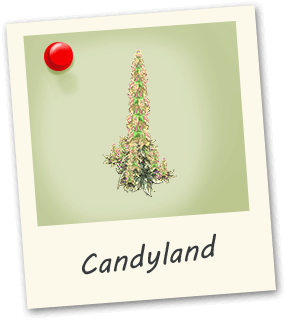 Candyland is very uplifting which make it great for social settings.